Hi, my name is Lexi and I’m addicted to podcasts. I blame my husband entirely. When I was asking him how I could listen to something on the way to and from a homeschool convention (with a very long drive time for me), he mentioned podcasts since he enjoyed listening to them on his way home from work. I nodded sagely and then asked him how to get the podcast “things” on my phone. Truth – I had no idea how to find and download a podcast. When he showed me that I had an app for that it just about blew my mind. Who knew it was so easy? I proceeded to download about 20 different podcasts. Then I grabbed my headphones and I had a mini homeschool convention in my car as I drove to another city for the actual convention. We’ll just call it a teacher in-service day for me. Since that day I have found that cleaning the house, doing the dishes, ironing, and folding the laundry, are a lot more bearable when I have a podcast to enjoy. It’s a problem! Hosted by a husband and wife and full of honesty and laughter. These hit you where it hurts. They are convicting and encouraging. There are many interviews with some “big name” homeschoolers. This one is about books. LOVE! No more words are needed. Education from a classical perspective. Contains interviews with homeschoolers and an inside look into a homeschooling lifestyle. This podcast has practical advice for homeschooling as well as interviews. 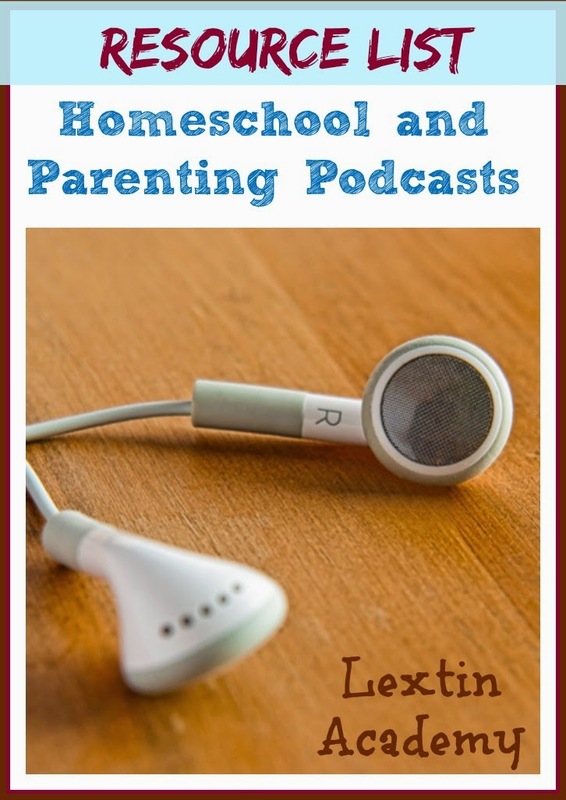 These are short podcasts with encouragement and tips from a homeschool mom of 7. Do you have any favorite education-related or parenting podcasts? While I love podcasts, books are still my absolute favorite and a couple of these podcasters have books that I’ve really enjoyed. Read Aloud Revival – Every homeschool mom should read her book Teaching from Rest. The Busy Mom – And if you need some planning and scheduling help (who doesn’t?!) you should read The Busy Homeschool Mom’s Guide to Daylight.